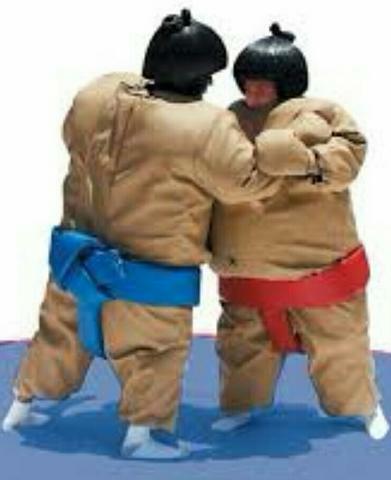 2 sumo suits. Comes with 15 foot mat. Helmets and gloves.